NatureFlex™ is a cellulose-based compostable packaging film that is truly unique as it is produced from renewable wood pulp products, sourced from managed plantations. These high performance flexible bio-films conform to Australian and international standards. 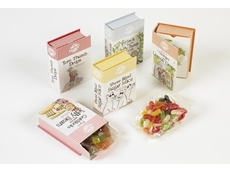 Transparent, glossy and metalised versions and heat seal range are available. 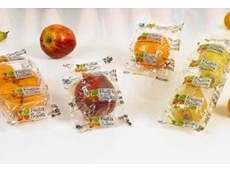 NatureFlex™ is suitable as lamination to other biomaterials and compatible with other biodegradable packaging materials in a variety of applications. 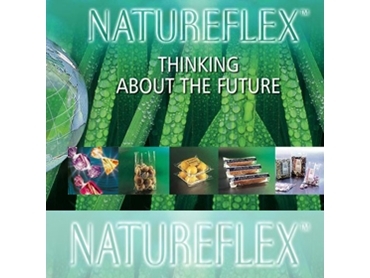 Can NatureFlex™ be recycled with paper or board? What are the main applications of bioplastics? Do NatureFlex™ films meet the requirements for EN13432 and ASTM D6400? 02/04/12 - NatureFlex™ films are certified to both these. They are also carry the certification marks of Din Certco, AIB Vinçotte and BPI. 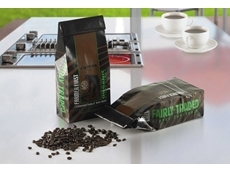 24/10/12 - The cellulose based NatureFlex compostable film from Innovia Films is being used by Pistol & Burnes, a leading Canadian coffee roasting company to pack their Farmer First brand of coffee. 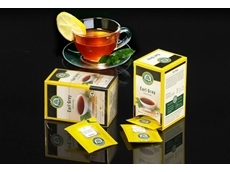 09/07/12 - Compostable cellulose-based material, NatureFlex NVR from Innovia Films has been chosen by Lebensbaum to pack its range of organic teas. 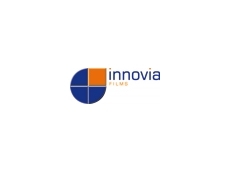 02/07/12 - Leading international producer of speciality substrates, Innovia Films has launched a new website focusing specifically on its compostable, cellulose-based product, NatureFlex. 13/04/12 - NatureFlex NVS, a compostable, cellulose-based material from Innovia Films is helping spread the message of healthy eating in Italian schools.